"Here I am at last! This is why He made me!" 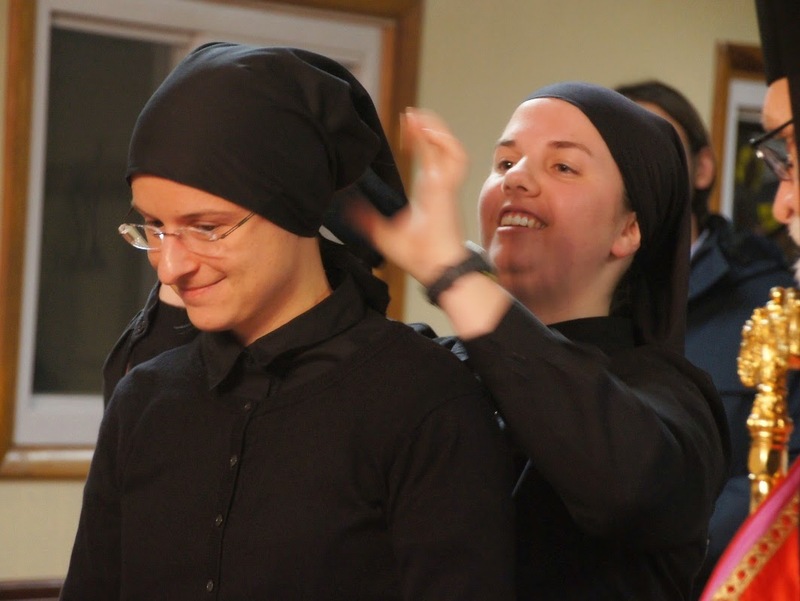 We are happy to share a little bit more about our newest dokimos (postulant) and her entrance day. Our community grew to five members when we welcomed a new dokimos (postulant) on December 8, 2014. 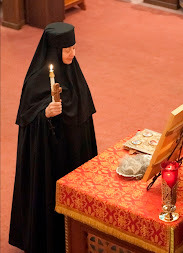 Motria (“Moki”) Lonchyna was blessed by Bishop John and received her headscarf and cross during Vespers for the Feast of the Maternity of Anna. Moki, 33, grew up in Maryland in the Ukrainian Catholic Church. She literally grew up in the church! She is the daughter of Fr. Taras and Lala Lonchyna. Fr. 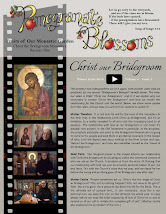 Taras is currently the pastor of St. Josaphat parish in Trenton, NJ. Her uncle (Fr. Taras’ brother) is Bishop Hlib Lonchyna, the bishop of the Ukrainian Catholic Eparchy of the Holy Family of London. Moki received her degree in nursing from The Catholic University of America, in Washington, D.C., and her Neonatal Nurse Practitioner degree from the University of Pennsylvania. She worked as a nurse at Children’s National Medical Center for five years and as a neonatal nurse practitioner at The Children’s Hospital of Philadelphia for four years. Moki first met us at the Eastern Catholic Vocations Fair in D.C. in January of 2012. 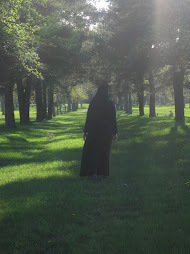 She first visited the monastery in 2013 and spent her six-week observership at the monastery in the summer of 2014. In this first step of the monastic life, Moki is called a dokimos (Greek for “approved by testing, genuine”) or postulant (from the Latin word that means “to ask”). She will spend one to two years “trying out” the monastic life. 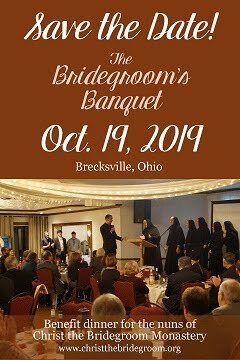 She and the community will discern together whether God is truly calling her to the monastic life in Christ the Bridegroom Monastery. Please keep Moki in your prayers as she begins to live the monastic life and seeks daily to surrender to her Bridegroom, Jesus. To see more photos from Moki’s entrance day, visit our Facebook album. 1st Phase of Renovations Begin!! Thanks to the quick outpouring of support for our renovation project, we were already able to begin the first phase of our project! This phase involves converting our former, unfinished chapel into a bedroom and office (page 9 of our renovation project booklet). 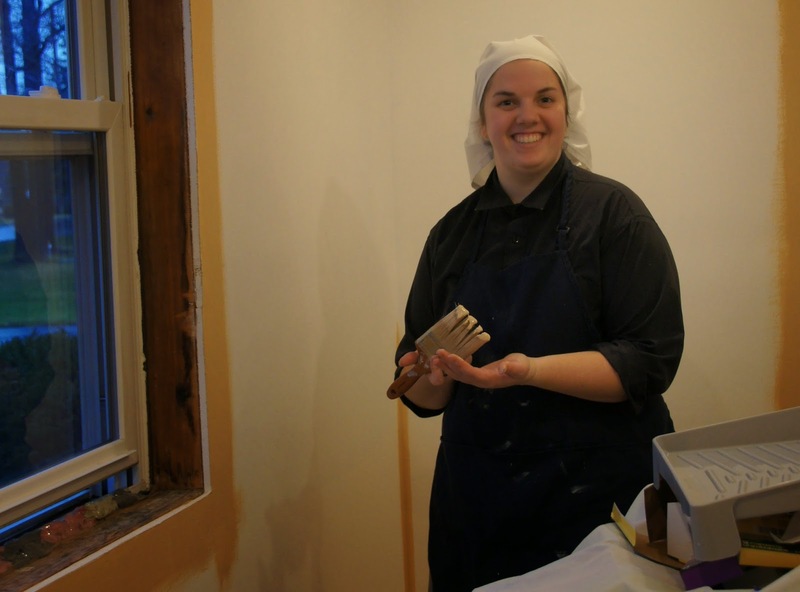 We did the priming, painting, staining and varnishing ourselves, and the wood was donated. This phase is almost complete, and we are looking forward to starting the larger projects! Enjoy our photos of this first step. We are at 70% of our goal towards the matching funds of $100,000! 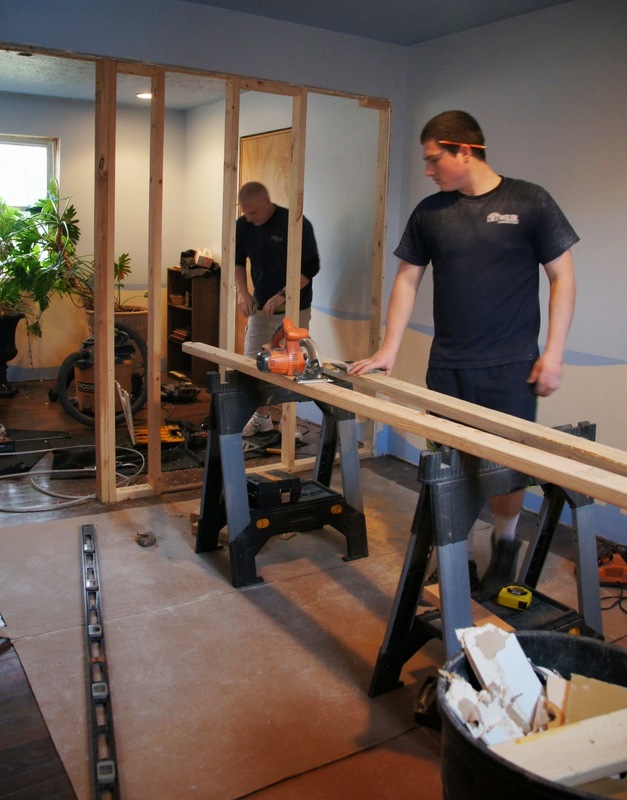 If you would like to help us reach 100%, please visit our Renovation Project page for more information. Thank you so much for your prayers and support! "He refashions us through the cleansing that He receives"
Happy Feast of the Theophany of Our Lord! Here are some photos from our celebration of the feast. "The One who clothes Himself with light as with a robe deigned, for our sakes, to become as we are. Today He is clothed in the streams of the Jordan even though He has no need to be purified. He refashions us through the cleansing that He receives. What a marvelous wonder! He creates anew without fire and refashions without tearing apart; He grants salvation to those enlightened in Him, Christ our God, the Savior of our souls."